Few years back, while buying your first budget smartphone, probably you were out of options. Those phones which were cheap had no decent features and those offering good features were expensive. But now-a-days, you don’t have to compromise features for the price. That is why TechLegends brought you the comparison of two budget-friendly smartphones, having all the decent and quality features of any midrange phone. 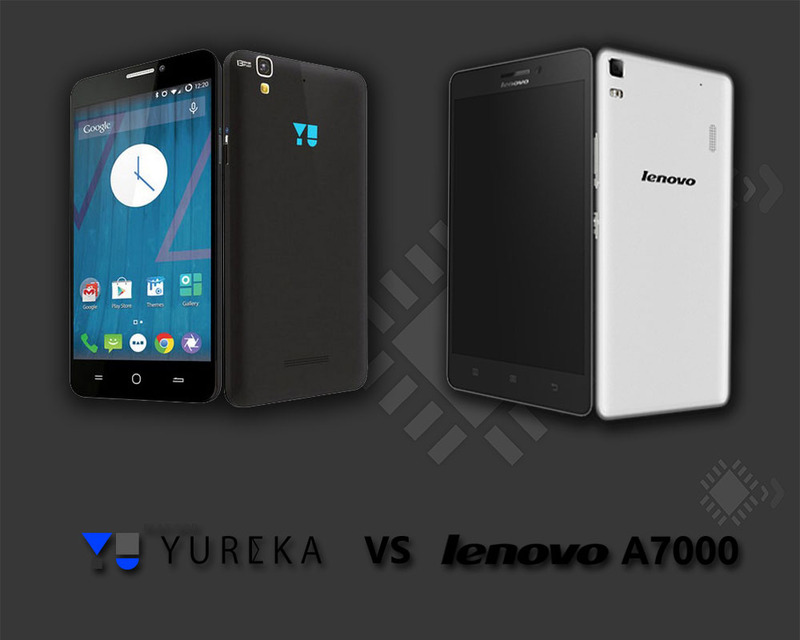 Why Micromax Yu Yureka and Lenovo A7000? Yes, as of now, you must be having this question in mind. So, the answer is both the smartphones are exclusively available online for shipping under a price tag of INR 8,999 ($145). 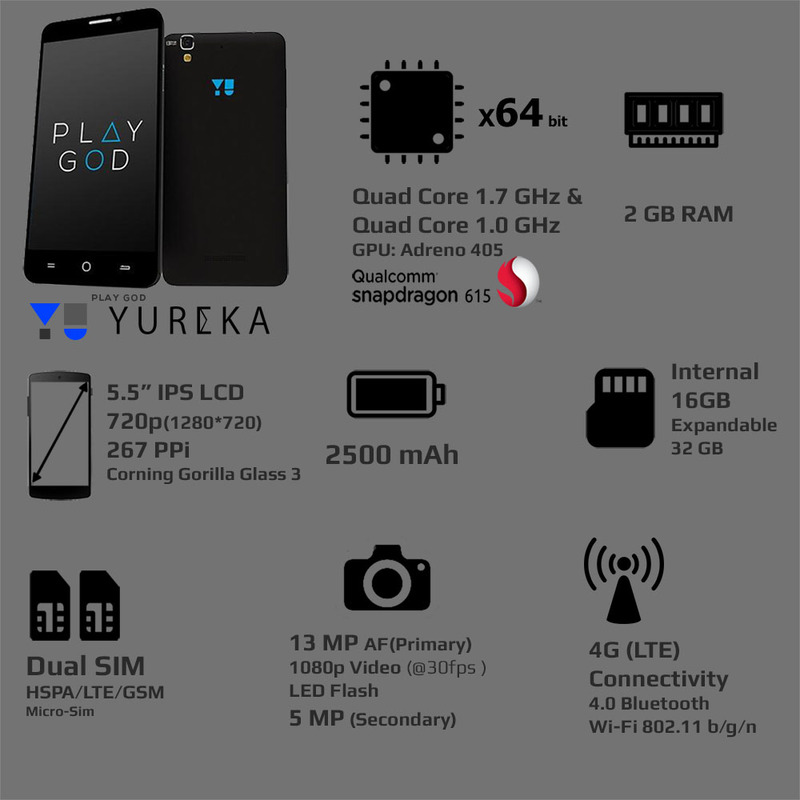 When it comes to the design Yu Yureka eats the cake, as it looks more premium. Lenovo A5000 has got shiny plastic finish which feels a bit cheap, that is not in the case of Yu Yureka. But Lenovo A7000 is a bit slimmer (8.8mm) and lighter (140 gm) than the Yu Yureka which has a thickness of 8.0 mm and weighs 155 gm. Ultimately, Yu Yureka is the winner in the design having premium build quality for the same price. Because, It has a 13MP camera featuring 4208 x 3120 pixels with 1080p video recording while, for the same price, Lenovo A7000 is offering 8MP camera featuring 3264 x 2448 pixels with 720p video recording. Unlike Lenovo A7000 (8 GB), Yu Yureka is offering twice memory capacity (16 GB) to store more memorable moments on your device. Also, Yu Yureka comes with “Corning Gorilla Glass 3” to protect your screen, whereas Lenovo is offering no protection for your screen. So, If you are careless and put a lot of stuff like keys in the same pocket, you should go for Yu Yureka. After all no one appreciates scratches on their screen. 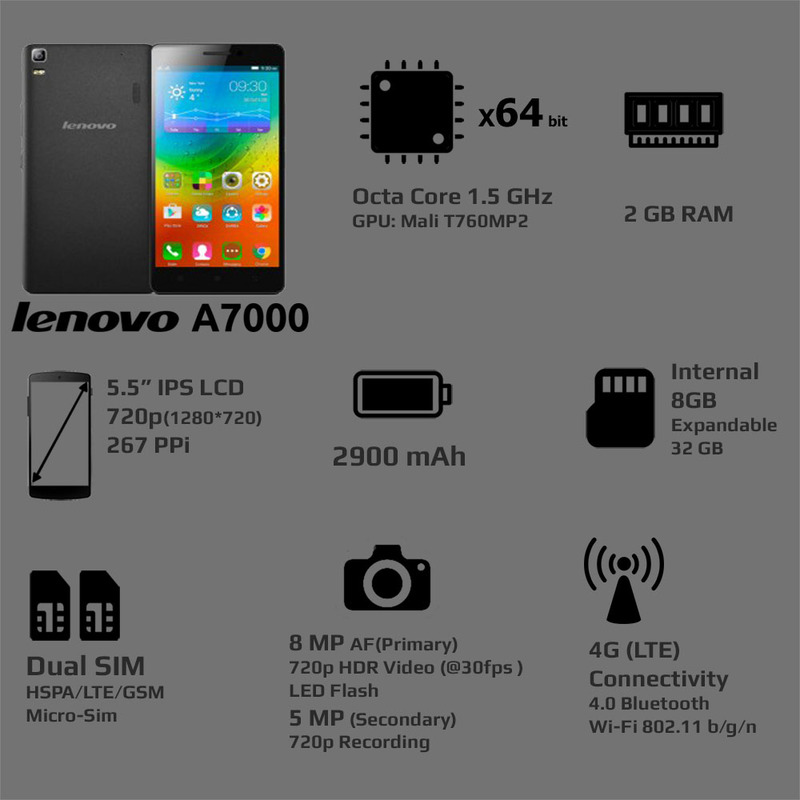 Well, If you love listening to music on the move, go and grab Lenovo A7000, because DOLBY Atmos will blow your mind. Also for the same price, Lenovo A7000 is offering 2900mAh battery which will please your ears for a longer time without recharging, whereas Yu Yureka is offering a standard 2500mAh battery. Well, Yu Yureka is offering a lot more things at the same price which Lenovo A7000 fails to offer. But here’s the thing even a coin have 2 faces. So, If you choose Yu Yureka you’ll have better camera and more memory along with scratch-resistant screen but you’ll have to recharge it soon and the music experience will not be that good. So, that’s up to you what you choose. In my opinion, Yu Yureka is the winner, as I didn’t bother in carrying a portable charger along with me. What will you choose? He is an enthusiastic writer about Tech news. Mainly based upon Google and Microsoft. Currently pursuing his bachelors degree in Computer Science and Engineering.